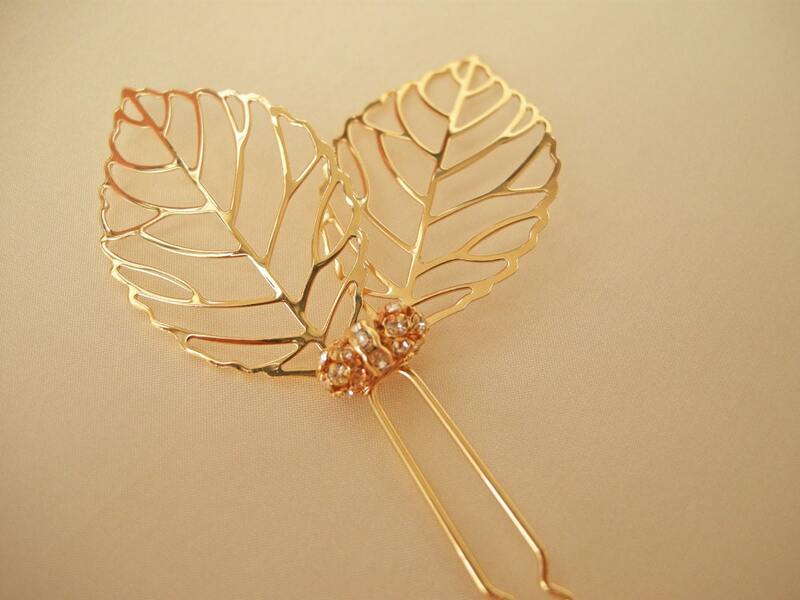 This beautiful leaf motif hair pin is made using delicately patterned gold leaves and is accented with Swarovski crystals. 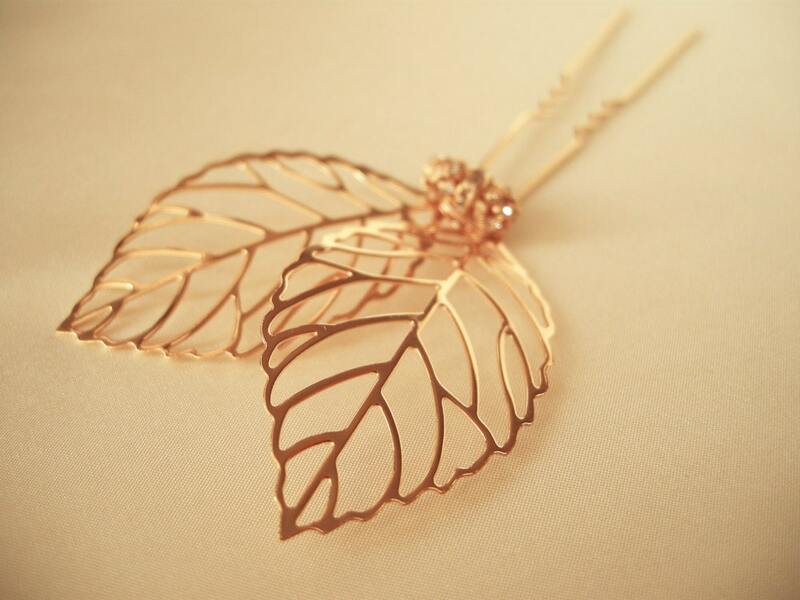 The golden leaves perfectly reflect the beauty of the season, making this an ideal hair adornment for an autumn wedding or special event. It measures 2" high and 2" wide. 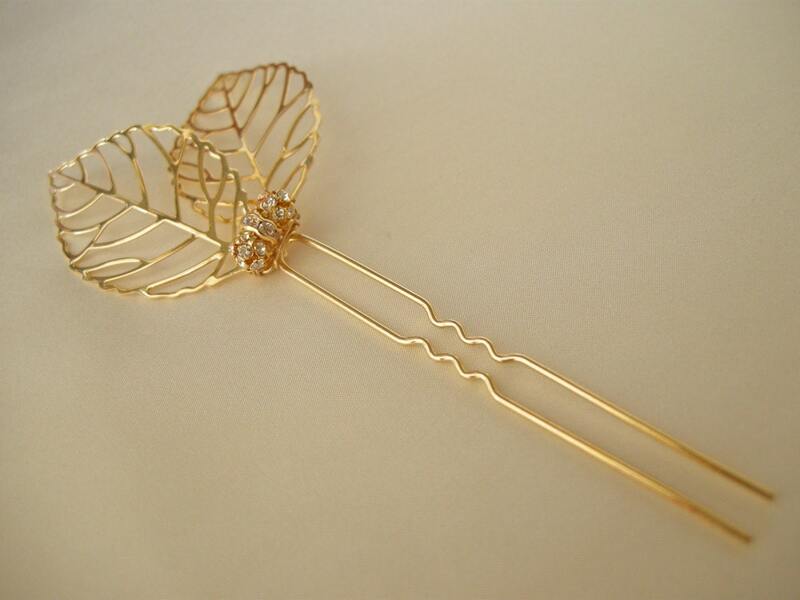 Also available in silver finish.